Caroliena Cabada, MFA Graduate Student in Creative Writing and the Environment, has been awarded the 2018-19 Pearl Hogrefe Fellowship in Creative Writing. 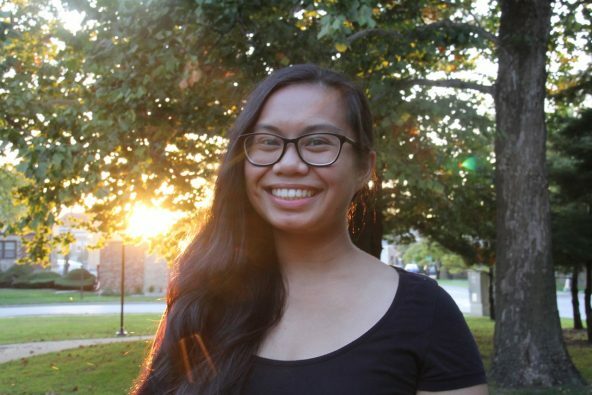 Caroliena’s fiction writings primarily focus on intergenerational conflict, climate change, being Filipino-American, and food (a lot of food). She has been published in New York University’s oldest literary magazine, The Minetta Review, as well as here and there around the internet. She holds a BA in Chemistry from NYU, though her first internship and work experiences drew her into the world of communications and social media for nonprofits in New York. She was most recently a Social Media Editor at the Natural Resources Defense Council where she managed the Food and Sustainable Agriculture accounts, including the Save The Food public service campaign created by NRDC and the Ad Council. She is using the extra time granted by the Pearl Hogrefe Fellowship to accomplish extra writing and take additional classes during her first year. Her experiences so far have placed her at the overlap of science, communication, and the arts, and she hopes to continue exploring that space through fiction writing.